Nominations are being accepted for Best Birding Retailer of the Year Awards and will be announced at this year’s Wild Bird Expo, held in Mexico, Missouri on Oct. 2-4. All nominees must demonstrate conscientious effort in advancing the birding hobby and industry and directly support bird sanctuaries, wildlife refuges, conservation and wetlands projects, bird rescue and rehabilitation efforts, and/or bird-specific educational associations. 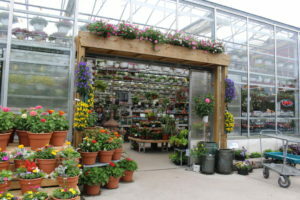 Candidates may range from backyard nature, bird stores, garden centers to farm and home stores and/or hardware stores. Factors evaluated includes: sales volume (total and per/sq. ft.), growth history and advancement of new trends, best practice systems, product selection offered, merchandising, advertising, customer communication and education (websites, social media, etc. ), and overall impact within their community and beyond. The Wild Bird Expo is co-sponsored and hosted by Gold Crest Distributing in Mexico, Missouri.